The changing demographics of interest in space may have been related to another phenomenon of the late 1970s and early 1980s: a surge of public interest in mass media science fiction and science fact, with a notable emphasis on space themes. Again, this was particularly visible among younger people. The timing of this surge of interest appears to be roughly simultaneous with the boom in space interest groups described in Chapter 8. Space travel has been a theme in fiction since the second century AD, when the Greek satirist Lucian of Samosata described a fictional voyage to the Moon. Closer to the modern era, works of extrapolative fiction provided a medium for speculation about alternative futures. Both Jules Verne and H. G. Wells wrote stories of voyages to the Moon, as well as on other subjects involving scientific and technological wonders. As science fiction grew in popularity in the United States in the 1920s and 1930s to become an established field of American writing, space travel consistently remained one of its principal subjects. Science fiction stimulated many of the pioneers and enthusiasts of spaceflight, both of the older generation and the younger. According to William S. Bainbridge, the men most responsible for the development of modern space rocketry had been inspired in adolescence by reading science fiction stories about spaceflight. Several of the space activists described in this book explicitly recalled being “turned on” to space by reading science fiction, usually at an early age. Gerard O’Neill traces his interest in space to reading science fiction in his youth during World War II.
. . . “good” science fiction purports to popularize the technical problems of our time, to prepare the reader for the possibilities of the future, and to bring before his/her eyes the good that man really could achieve if only he would try. It stimulates his thinking and widens his horizon without boring him by being outright didactic; it warns man of the effects of his blunders without explicit exhortation, and it points him to new ideals. . . . The audience for science fiction includes many serious and sober people. However, science fiction has been the subject of much derisive criticism from the “mainstream” of American culture, and science fiction readers still are sometimes regarded as “escapist” or worse. Von Puttkamer believes that many science fiction fans “drop out” of reality and get compensation from the superman idea. In defense of science fiction and the related field of fantasy, the noted writer Ursula K. LeGuin argues that American culture has tended to disapprove of fantasy: if it is not “work” and if it cannot be justified as “educational” or as “self-mprovement,” then, in the Puritan value system, it can only be self-indulgence or escapism. There may be parallels among space enthusiasts. Many are highly pragmatic, scientifically and technically well-qualified people. However, sociologist B. J. Bluth comments that many of the people on the more extreme fringes of the space movement are dissatisfied with their own lives and seek to escape to proposed or imagined alternate worlds. Since the days of the American Interplanetary Society in the early 1930s, there have been connections between science fiction enthusiasts and American pro-space groups. In the case of the modern pro-space movement, some science fiction writers have played important roles. Robert Heinlein was an early patron of the L-5 Society, and Jerry E. Pournelle is one of its leading figures. G. Harry Stine, who writes science fiction under the name Lee Corey, was vice-president of the L-5 Society at one time. Ben Bova, known both as an editor and writer of science fiction, became the president of the National Space Institute in 1983. Charles Sheffield, who was president of the American Astronautical Society at the time the new pro-space movement began growing rapidly, also writes science fiction. Boards of directors, governors, and advisers of the larger pro-space citizens groups often include one or more science fiction writers; in 1984 those of the L-5 Society included Ben Bova, C. J. Cherryh, Analog Editor Stanley Schmidt, and Jerry Pournelle, and those of the National Space Institute included Isaac Asimov and Arthur C. Clarke. Some space group publications, notably the L-5 News, carry advertising for science fiction books; conversely, some science fiction magazines (notably Analog) have carried advertisements for the L-5 Society and the National Space Institute. Peter Nicholls writes that “the most durable of science fiction `predictions’ is that of the endless Space Age — the belief that once we have emerged from the cradle of our planet, the future and the universe will be ours.” One finds this same line of thinking among many space advocates. How closely related are the pro-space and science fiction phenomena? Sociologist William S. Bainbridge examined the influence of science fiction in his paper “The Impact of Science Fiction on Attitudes Toward Technology.” His surveys showed that there is unusual and overwhelming support for the space program among science fiction fans. A sampling of students revealed a very strong positive correlation between preferences for the science fiction television series “Star Trek” and “Battlestar Galactica” and support for space program appropriations. “Science fiction does have the expected propagandistic influence,” writes Bainbridge, who adds that the evidence suggests that there is no “hidden global variable” making some people simultaneously favor space and science fiction. One might be tempted to link this to generalized pro-technology attitudes. Bainbridge looked at this question and concluded that “all things considered, the most reasonable interpretation of the data is that science fiction strongly promotes spaceflight, while having only the weakest capacity to prevent anti-technology attitudes, and no power to produce favorable attitudes toward technology in general.” This may be related to findings by Robert D. McWilliams (cited in Chapter 6) that there seems to be little connection between the rise of pro-space opinion and attitudes toward technology in general. There appears to be something different about space. However, it tends to be the hard science, pro-technology writers of science fiction, such as Heinlein and Pournelle, who have been most closely associated with the new pro-space movement. They often also are the most conservative politically. This has led to some strains within the movement, notably within the L-5 Society. In Chapter 12, we will see that this latent conservative-liberal split has been widened by the debate over weapons in space. In 1982, at about the time when space weapons were becoming a major issue, some science fiction writers founded an organization called “Red Shift” to counter the views of writers like Heinlein and Pournelle. Perhaps the most characteristic publication of the “Hard Science” school of written science fiction has been the magazine Analog. Founded as Astounding in 1930 and brought to prominence in the 1940s and 1950s by John W. Campbell, the magazine virtually defined the mainstream of traditional, technology and space-oriented science fiction. Becoming Analog Science Fiction/Science Fact, it has enjoyed continued success under Ben Bova and his successor Stanley Schmidt. Its editorial viewpoint has been strongly pro-technology and pro-space and often politically conservative. Analog has served as an important communications medium for people interested in the future in space, particularly those in pre-baby boom generations. In addition to its stories, often based on space scenarios, it has offered regular features on science fact and has provided an outlet for speculative ideas. “If you couldn’t get a speculative paper published by the American Astronautical Society or the AIAA,” says G. Harry Stine, “you put it in Analog.” For a while, Analog was a communications medium for writing on space industrialization. In April 1981, Analog published a survey of its readers that showed similarities between Analog readers and the members of the major pro-space citizens groups profiled in Chapter 6. Those readers were 75.1 percent male and 24.9 percent female. There were 41.8 percent who were single and 69.8 percent who had college degrees. The most common income brackets were between $20,000 and $50,000. The largest age bracket was between 25 and 34, with the second largest between 35 and 49. Overall, the results suggested that Analog readers tended to be slightly older and better established than those who joined the new pro-space organizations formed in the late 1970s and early 1980s. The early science fiction programs on television, such as “Tom Corbett, Space Cadet,” tended to be aimed at children. In 1966, at the height of the space race, Gene Roddenberry brought a new series to the public called “Star Trek.” Here, space adventure was taken out of the category of children’s programming and given prime-time exposure in a way that involved a large number of adults and older children. The series soon generated a considerable following. The appeal of “Star Trek” appears to have lain not only in its interesting characters and settings but also in the optimistic and moral messages it conveyed. Commenting on a later “Star Trek” film, one reviewer noted that the characters share creator Gene Roddenberry’s optimistic vision of the future, his heroic dreams seeded by the astronauts of the 1960s. Von Puttkamer comments that “Star Trek” fans were different from science fiction fans, whom he believes tend to be reclusive and oriented toward the literary medium. According to von Puttkamer, “Star Trek” fans were not alienated and were “turned on” to the future. When the National Broadcasting Company announced that it was going to cancel the “Star Trek” series at the end of the 1968 season, many fans were infuriated. In Los Angeles, “Star Trek” fans Bjo Trimble and her husband John, using a mailing list of 4,000 from a science fiction convention, mounted a letter-writing campaign in which each person asked ten others to write. The result was that NBC got hundreds of thousands of letters. “Star Trek” was given another year on the air, and the leaders of its fans discovered the potential of mail campaigns. After the demise of the “Star Trek” series, many of its fans organized into clubs. Some are in large federations, such as Star Fleet and Star Fleet Command, and hold their own conventions. “Star Trek” memorabilia, such as “Mr. Spock” plates, still were being advertised in 1984. “Star Trek” reruns have been shown on television for years, and three “Star Trek” movies had been produced as of 1985. In 1975, a large “Star Trek” convention in Chicago asked NASA to provide a presentation on “the real space program.” Von Puttkamer got the assignment and found the response to be “tremendous.” From that point on, he believes, support for the real space program merged with fandom. Actress Nichelle Nichols, who played Lieutenant Uhura on “Star Trek,” helped recruit women and blacks for NASA, doing commercials free of charge. “She was a symbol of the future, a symbol of hope,” says von Puttkamer. Nichols also was on the boards of both the L-5 Society and the National Space Institute as of 1984. “Star Trek” fans made their influence felt politically on the naming of the first Space Shuttle orbiter to come off the assembly line. NASA proposed that it be named Constitution. “Star Trek” fans, reportedly including Richard Hoagland, Space Trek co-author Jerome Glenn, Carol Rosin (later a space arms control activist), space enthusiast Richard Preston, and “Star Trek” star George Takei (“Mr. Sulu”), came up with the idea that the first orbiter should be named Enterprise, after the ship in “Star Trek.” The Trimbles and their co-workers organized a write-in campaign that sent an estimated 500,000 letters to the White House. This action, the essence of a grass-roots operation, succeeded in its immediate objective when the Ford administration agreed to change the name to Enterprise. Unfortunately, the organizers did not realize at the start of the campaign that the Enterprise would never go into space but would be used as a passive test vehicle or display instead. In the course of this campaign, the Trimbles learned about the L-5 Society and got in contact with Jerry Pournelle, who arranged for them to be invited to the first rollout of the Enterprise in September 1976, an event of considerable symbolic importance to pro-space people. Von Puttkamer believes that this write-in campaign was the moment when science fiction fans came closest to influencing the space program. Some space enthusiasts believe there also have been others; political scientists Michael Fulda and Nathan C. Goldman have described how “Star Trek” fans at a New York convention helped save the Jupiter Orbiter Probe/Galileo project by writing and calling their representatives in Washington, and comparable claims have been made in connection with the 1984 space station decision. The Enterprise campaign also made a more general point, which was to send a signal to Washington that many ordinary citizens cared about the space program. Since that time, the Trimbles and their co-workers have organized several mail campaigns on space issues. They formed an organization called Write Now! in 1979 and incorporated it in 1981 (at one time, it was called Space Write Now!). Like the L-5 Society’s phone tree, Write Now! alerts the people on its mailing list (some 23,000 in early 1984) and provides guidance on how to write more effective letters. The organization is run out of the Trimble living room on a budget of less than $2,000, since it lives on small donations and volunteer labor (the L­5 Society and Spacepac donated money for paper and envelopes for the Write Now! mailing on the space station in December 1983, when Write Now! worked with other pro-space citizens groups). Like a true grass­roots operation, Write Now! provides an opportunity for participation by ordinary individuals. The year 1977 saw the arrival of a new phenomenon, surpassing even “Star Trek” in its popularity: the George Lucas film Star Wars. Lucas, a talented young California film director, had not been successful commercially with the earlier film THX 1138, which presented a very dystopian view of the human future. He decided to focus on the hopeful side of human nature in Star Wars. This space adventure proved to be immensely popular with younger people, becoming what was then the biggest money-earner in film history. Unlike many earlier science fiction works, the film showed a rather ordinary young man, working on a farm and wearing ordinary clothes, participating in fantastic adventures and making a difference in a world of powerful organizations and high technology. Star Wars helped revive the hero, who could be master of his own destiny. Like “Star Trek,” it may have been one of a new set of modern myths and fairy tales. Gary Kurtz, the producer of Star Wars, comments that the audience seemed primed for the film, which turned into “instant myth.” In his view, enthusiasm for Star Wars also was a response to frustration. Star Wars also make space adventure seem accessible and suggested that working and living in the space environment could be not just dangerous but also fun. The boom in space media spectaculars was by no means over in the early 1980s; the third Star Wars film appeared in 1983, and the third Star Trek film in 1984. Stanley Kubrick’s 1968 film 2001, based on a story by Arthur C. Clarke, was succeeded by 2010 in 1984. Science fiction works created for the literary medium were transformed into films. Particularly notable was Frank Herbert’s sweeping, exotic epic Dune (itself a product of the age of disillusion). An adaptation of James Michener’s novel Space was shown as a television series early in 1985. An even more subtle and immeasurable influence came from the growing number of “space artists,” painters who depicted astronomical and space travel scenes with accuracy as well as power. The pioneer among astronomical artists appears to have been Lucien Rudaux, who was active in the 1920s and 1930s. The covers of science fiction magazines provided an outlet for such artists for many years, but their influence increased during the Space Age when their works began appearing more frequently in “mainstream” media. The dean among space artists still living as of 1985 is Chesley Bonestell, who teamed with space writer and early Verein fur Raumschiffahrt member Willy Ley to produce the memorable 1949 book The Conquest of Space. During the height of the space age, Robert McCall became a significant contributor of space paintings, doing artwork for 2001 and a dramatic mural for the National Air and Space Museum in Washington, D.C. McCall’s 1971 painting of a city floating over the Arizona desert might be seen as an evolution of architect Paolo Soleri’s arcologies on the one hand and an indirect precursor of Gerard K. O’Neill’s space colonies on the other. During the later 1970s, younger space artists found good outlets for their work in new astronomy and science fact magazines, reaching a larger audience. One of them, Don Davis, did depictions of Gerard O’Neill’s space colonies, which were still being sold as posters by the L-5 Society in 1984. Mass media presentations on scientific and technological subjects, including space, were relatively infrequent in the 1950s. In March 1952, Colliers magazine presented the first of a series of illustrated articles on space, continuing into 1953 and 1954; many of the illustrations were by Chesley Bonestell. In March 1955, the Disneyland television program presented a show entitled “Man in Space,” which was followed by programs on “Man and the Moon” and “Mars and Beyond.” These educational efforts may have influenced many people. However, continuity was not maintained. Among magazines, Popular Science appealed to some, but did not single out space travel as a prominent theme. The late 1970s and early 1980s saw a dramatic increase in media responsiveness to growing public interest in science and technology, marked in particular by an explosion of new popular science publications, many of which gave prominent coverage to developments in the space field. Perhaps they were competing with television; they often placed heavy emphasis on vivid art work. The forerunner of this trend may have been in the astronomy market, where there was a known and growing demand for astronomy-related products. Attempts were made to launch a popular, nontechnical magazine in competition to the long-established Sky and Telescope. The first to succeed was Astronomy, founded in Minneapolis by the late Stephen Walther, who was then a young man. The first issue came out in August 1973 — after the Apollo program. Astronomy made a conscious effort to write for the average, younger, nonexpert reader, made generous use of color art work and quality photography, and gave extensive coverage to spaceflight, openly and effectively linking it with the amateur astronomy market. Its letters pages became a forum for debates over different aspects of the space program, and its editorials clearly were “pro-space.” Astronomy’s circulation rose to 179,000 in 1982, far surpassing that of Sky and Telescope. Another venture in the popular astronomy field, Star & Sky, proved to be short-lived, but it was the first magazine to publish science writer Trudy E. Bell’s work on the emerging pro-space movement. The first big success story of the new generation of popularized general science magazines was Omni, which, more than any other single media product, may have stimulated the popular science movement. The president of Omni Publications, Kathy Keeton, recalls that she and Penthouse publisher Bob Guccione conceived the idea in the early 1970s. “We were worried that young people were turning against science and technology,” says Keeton. “In 1974 and 1975, we were hearing about interesting things on television, but there was no place to read about them.” They and their colleagues decided to bring out a glossy magazine mixing science fiction with popularized science fact and speculation, with a strong tilt toward the future and toward space. The first issue came out in October 1978. By early 1984, Omni had a circulation of about 850,000. 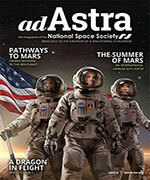 Omni went beyond editorial policy to support the space program and to help pro-space groups. According to Keeton, Omni assisted the space movement by providing free advertising space, participating in events, arranging for radio and television interviews, providing its mailing list, and running articles, notably a revised version of the Trudy E. Bell study. Omni also has engaged in lobbying itself. The magazine sent out telegrams to mobilize space groups at the time the Galileo mission appeared to be threatened by budget cuts. It did the same when the Reagan administration took office, sponsoring a “Prospectus on Space Development” and encouraging pro-space activists to urge the adoption of a visionary space program. The magazine editorialized in favor of the space station in October 1983, before the Presidential decision to start that program had been announced. It also has alerted readers to write their congressmen on space issues, and published a congressional “black list” for the 1982 election. Omni’ s relationship with the National Space Institute (described in Chapter 3) “petered out,” says Keeton; Omni did not want to get involved with just one group, but wanted to be a clearinghouse or a catalyst. Keeton herself is a director of the L-5 Society, which she describes as “great in exciting the public and communicating with people, but split.” In her view, the best job now is being done by Gerard O’Neill’s Space Studies Institute, which is “the most serious” and “has the best credentials.” Omni gave SSI its list of subscribers to help with a membership and fund-raising drive. The early 1980s saw the creation of several general popular science magazines. Staffers from the respected weekly Science were instrumental in starting Science 80, which updates its name each year. In July 1981, Time, Incorporated began publishing Discover, a colorful and lightly written “newsmagazine of science.” Even more popularized is Science Digest, which changed to a full-color glossy format. All three have achieved large circulations. The New York Times started a weekly “Science Times” section in 1980. The pervasiveness of the trend is shown by the fact that several science publications of more modest circulations changed their appearance and sometimes even their names to appeal to wider audiences. Another interesting venture in this field was a pair of magazines known as Starlog and Future. Starlog, written in a lively style and generously illustrated in color, specializes in space-oriented science fiction, particularly in the mass media of motion pictures and television, and seems to have carved out a secure niche for itself. Its companion publication Future concentrated more on science fact and science speculation and could be seen as a forerunner to Omni. 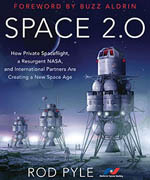 Edited by Robin Snelson, Future gave frequent and positive coverage to space developments. For a while, L-5 Society co-founder Carolyn Meinel was a regular columnist. After changing its name to Future Life, it was closed down by its owners in 1982. Perhaps the most important fact about these magazines is that many have survived in the highly uncertain world of magazine publishing. Apparently, the demand was not simply a fad but reflected a longer-term trend. Many seemed to hit a peak of creation and growth between the years 1979 and 1982, about the time pro-space opinion rose to a new high and pro-space groups were at their own maximum rates of formation and growth. There is no better symbol of science popularization during the late 1970s than Cornell University astronomer Carl Sagan. He achieved fame first through his work on planetary exploration and his advocacy of a search for extraterrestrial intelligence. His first important popular success in the space/astronomy field was the highly readable book The Cosmic Connection, first published in 1973 and released in paperback in 1975. Sagan proved himself to be unusually skillful in popularizing science for mass media audiences and wrote successful books on nonastronomical subjects, such as The Dragons of Eden and Broca’s Brain. It is worth noting that Sagan began his rise to prominence when attitudes toward science and technology were particularly negative and when the U.S. manned space program was at its low point. Television, which already had brought the solar system into Ameri­can living rooms through news coverage of planetary exploration missions, clearly offered a powerful medium for Sagan’s messages. Science then had a small niche in educational television, notably through the “Nova” series produced by WGBH in Boston. In 1977, Sagan began work on his own television series, called “Cosmos.” Concerned about the future of the planetary exploration program, Sagan decided he had to do something, and “Cosmos” was one of the results (another was the Planetary Society, discussed in Chapter 10). The series, which began its run by the Public Broadcasting Service in September 1980, was exceptionally popular for a science program, and Sagan’s book with the same title was on the best seller list for many weeks. Again, the message was an optimistic one of enjoyable wonder about the human relationship with and exploration of the Cosmos, coupled with moral and political messages about the fate of humanity. 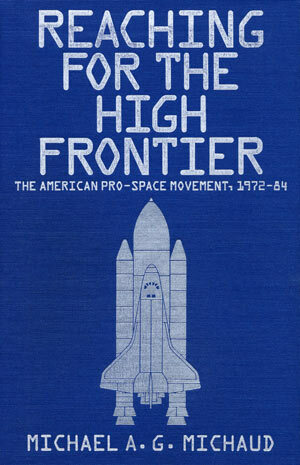 The series roughly coincided with the sharp rise in pro-space opinion prior to the first flight of the Space Shuttle in April 1981. Sagan has gone on to become deeply involved in the “nuclear winter” question and the issue of space weapons (see Chapter 11). During the late 1970s and early 1980s, there were other signs of media awareness of heightened popular interest in space. Advertisers made growing use of futuristic themes, with a noticeable upsurge in space imagery after the first successful flight of the Space Shuttle; that vehicle became a symbol of success. “War games” based on space scenarios, first in board form and later in computer cartridges and diskettes, multiplied rapidly; while most had to do with interplanetary or interstellar conflict, some simulated such possible future activities as mining the asteroids and rescuing a space colony. Film producers placed cameras on the Space Shuttle, producing spectacular imagery that gave audiences the feeling of being in space. A new Public Broadcasting Service documentary on spaceflight was shown in May 1985. It seems inevitable that such media products will stimulate young minds as comparable efforts have in the past. It is tempting to conclude that “media events” created the new space movement. However, the evidence is too complex and ambiguous to allow that simple an interpretation. The earliest of the major new pro-space groups clearly were formed before the blockbuster science fiction movies and the explosion of popular science magazines, at a time when intellectual attitudes toward science, technology, and space were still rather negative. And they were created for other reasons: the National Space Institute grew out of NASA and aerospace industry concern, and the L-5 Society was stimulated by the ideas of Gerard O’Neill. The only one of the new successful popular science magazines relevant to space then in existence was Astronomy. Figure 6.1 suggests that pro-space opinion was beginning to turn upward before the release of “Star Wars” and well before the first issue of Omni. One could argue that the media were responding to demand as much as they were creating it. There was a ready and willing audience for the wonders of science and technology, and especially for space. Mass media science fiction and science fact provided opportunities for vicarious participation in the space adventure. Instead of looking for a cause and effect relationship, it may be more useful to consider both science fiction/science popularization and the growth of interest in space as reflecting the same underlying factors. One may have been a widespread concern about the future of American science and technology after the cancellation of its most visible symbol, the Apollo program, and the negative attitudes of the early and middle 1970s. Interest in science, technology, and space also may have reflected the desire for a more positive future, in which Americans could use technology to open up new options. However, the most important factor appears to have been the emergence of a new generation of young people who had been stimulated by the experiences of the Space Age, who found science and space exciting and promising, and who wanted to know more about these subjects and, in many cases, to get more directly involved. The older end of the baby boom generation was about 30 in 1977, the younger end about 13; by most accounts, it was people between those ages who were the source of much of the new demand for science fiction and science fact in the media, and particularly for materials on space. George Lucas and Stephen Spielberg were themselves representatives of that younger generation, perhaps reflecting attitudes as much as shaping them. It was that same generation that was to play a central role in the proliferation of pro-space organizations during the late 1970s and early 1980s. James Gunn, Alternate Worlds: The Illustrated History of Science Fiction (New York: Visual Library, 1975), p. 48. William S. Bainbridge, The Spaceflight Revolution: A Sociological Study (New York: John Wiley & Sons, 1976), p. 234. Lucian of Samosata, A True History (New York: Murray, Scribner, & Wedford, 1880). H. Bruce Franklin, as quoted by Curt Suplee in “In the Strange Land of Robert Heinlein,” Washington Post, September 5, 1984. William S. Bainbridge, Spaceflight Revolution and William S. Bainbridge, “The Impact of Science Fiction on Attitudes Toward Technology,” in Euguene M. Emme, ed., Science Fiction and Space Futures (San Diego: American Astronautical Society [Univelt], 1982), pp. 121-35, 121. Isaac Asimov, “The Truth Isn’t Always Stranger Than Science Fiction, Just Slower,” New York Times, February 12, 1984. Peter Nicholls, ed., The Science Fiction Encyclopedia (Garden City, N.Y.: Doubleday, 1979), p. 473. Peter Nicholls, ed., The Science in Science Fiction (New York: Knopf, 1983). Jesco von Puttkamer, “Reflections on a Crystal Ball: Science Fact vs. Science Fiction,” in Emme, Science Fiction and Space Futures, pp. 137-50, 137. Nicholls, The Science in Science Fiction, p. 6. Interview with Jesco von Puttkamer. Similar views were suggested by Peter S. Prescott, “Science Fiction: The Great Escape,” Time, December 22, 1975, pp. 68-74. Ursula K. LeGuin, The Language of the Night (New York: G. P. Putnam’s Sons, 1979), p. 40. Interview with B. J. Bluth. Nicholls, The Science in Science Fiction, p. 201. Bainbridge, “The Impact of Science Fiction,” p. 124. William S. Bainbridge and Murray Dalziel, “The Shape of Science Fiction as Perceived by the Fans,” in Science Fiction Studies 5 (1978):165-71, 166-67. Bainbridge, “The Impact of Science Fiction on Attitudes Toward Technology,” p. 135. “Red Shift — Leftist Science Fiction Writers Association Formed,” Space for All People 3 (April 1982):3. Stanley Schmidt, “A Portrait of You,” Analog Science Fiction/Science Fact C1 (April 27, 1981): 5-14. Bainbridge, “The Impact of Science Fiction,” p. 133. Rita Kempey, “Enterprise Keeps on Trekking,” Washington Post, June 8, 1984. See Mark Starr, “Cosmic Cult: Fans of Star Trek Are, Well, Spaced Out,” Wall Street Journal, September 4, 1975; “The Trekkie Fad,” Time, September 8, 1975, p. 70; “Star Trek Lives,” Newsweek, September 11, 1975. Conversation with Richard Preston, 1984. See, for example, “Enterprise Undergoes Sound Suppression Test,” Aviation Week and Space Technology, May 6, 1985, p. 101. Some of this section is based on an interview with Bjo Trimble, February 7, 1984. She is the author of The Star Trek Concordance (New York: Ballantine Books, 1976) and On the Good Ship Enterprise: My 15 Years with Star Trek (Norfolk/Virginia Beach, Va.: Donning, 1982). Nathan C. Goldman and Michael Fulda, “The Outer Space Lobby and the 1980 Electronics,” in Paul Amaejionu, Nathan C. Goldman, and Philip J. Meeks, eds., Space and Society: Challenges and Choices (San Diego: American Astronautical Society [Univelt], 1984), pp. 15-28. See John Culhane, “George Lucas: Skywalker Supreme,” Readers Digest, September 1982, pp. 66-70 (condensed from Families, April 1982). Lawrence Meyer and Joel Garreau, “Making Movies with the Same Message as John Wayne and Buddha” (interview with Gary Kurtz), Washington Post, December 30, 1984. Rita Kempey, “A Joyous Ride in The Last Starfighter,” Washington Post, July 13, 1984. Robert D. McWilliams, “An Analysis of the Socio-Political Status of Efforts Toward the Development of Space Manufacturing Facilities,” in Space Manufacturing III: Proceedings of the Fourth Princeton/AIAA Conference, May 14-17, 1979 (New York: American Institute of Aeronautics and Astronautics, October 31, 1979), pp. 173-82, 174. See Ron Miller, “The Astronomical Visions of Lucien Rudaux,” Sky and Telescope, October 1984, pp. 293-95. Willy Ley and Chesley Bonestell, The Conquest of Space (New York: Viking Press, 1949). A small reproduction appeared in Discover, November 1984, p. 100. Interview with Kathy Keeton, May 25, 1984. See Ross Parker Simons, “Science Magazines,” Astronomy, June 1982, pp. 24-28. See, for example, Carolyn Meinel Henson, “Alternate Space,” Future Life, November 1981, pp. 22-23. Carl Sagan, Cosmos (New York: Random House, 1980). See Pat Glossop, “Sky’s No Longer the Limit,” Millimeter, October 1984, pp. 201-13.